The medium pink printed fabric has zari border and some gold dots [they called it mica print]. For embroidery I used gold metallic thread and a cotton skein which closely resembled the gold metallic thread. The same cotton thread was used to work the sequins and beads. Antique gold sequins, small and medium sized dull gold beads were used for embellishing this neck design. With the neckline like this, who needs any other neck accessory? LOL! 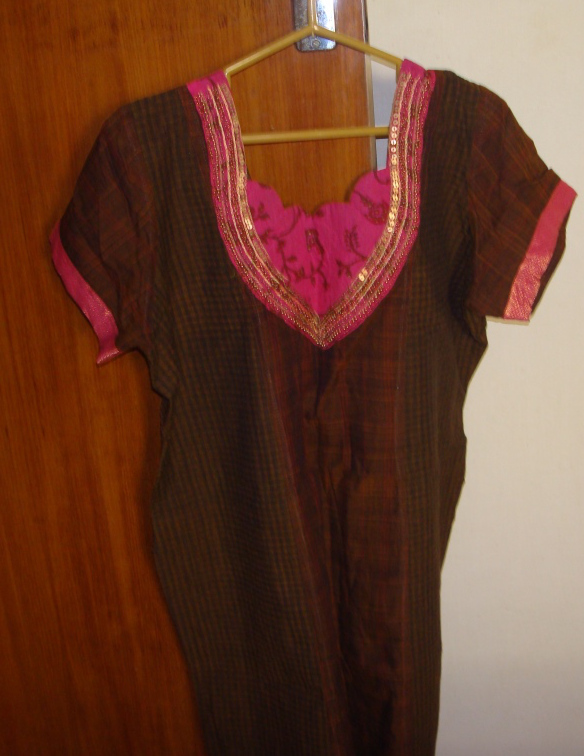 I have been seeing a trend of two or three fabrics mixed and matched to be sewn together as a tunic top. Some are really attractive, especially the handloom cotton fabrics in bright colours. With this idea in mind, I very cautiously bought two cotton fabrics in brown. 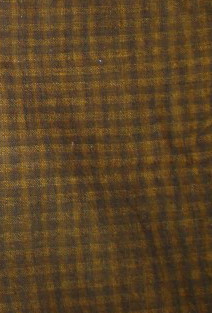 This fabric is handloom cotton with squares similar to gingham fabric. 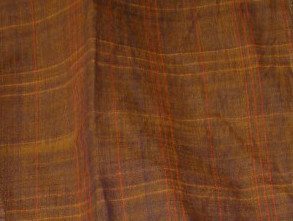 The other one is soft hand woven cotton with yellow and copper lines crossing each other. I wanted to embellish this tunic with antique gold sequins and beads. 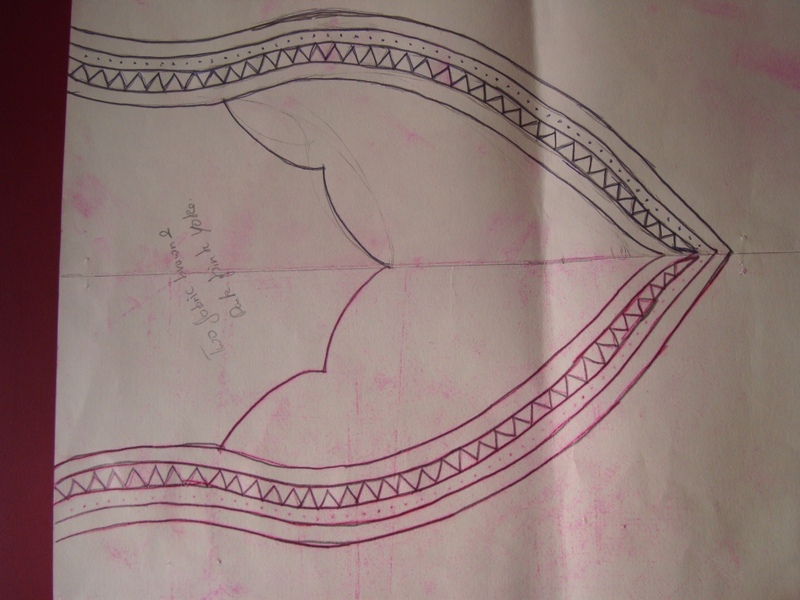 For that, this yoke pattern was drawn. 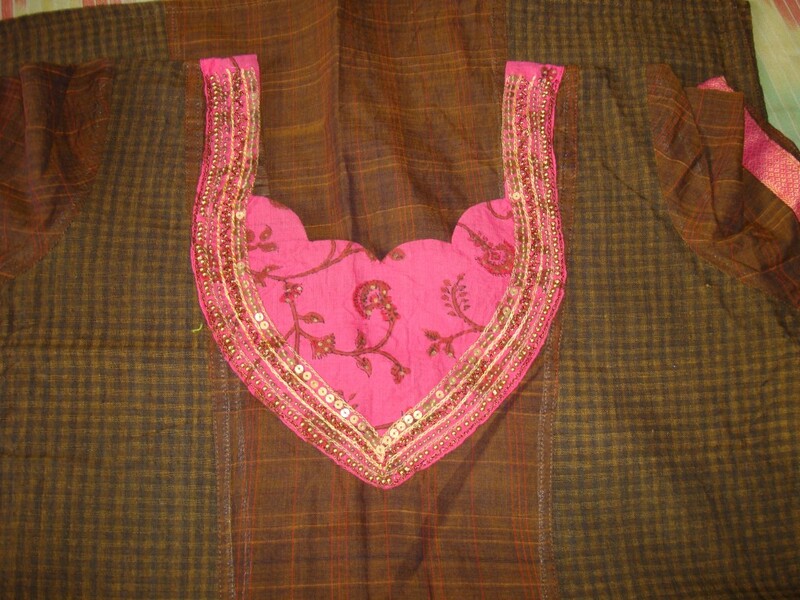 I chose a pink block printed mangalagiri fabric with zari border for yoke. the zari border was ideal for the sleeves.